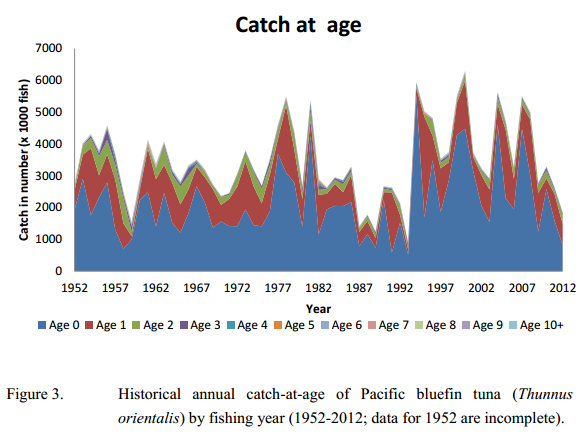 (1) Total fishing effort by their vessel fishing for Pacific bluefin tuna in the area north of the 20 degrees north shall stay below the 2002-2004 annual average levels. 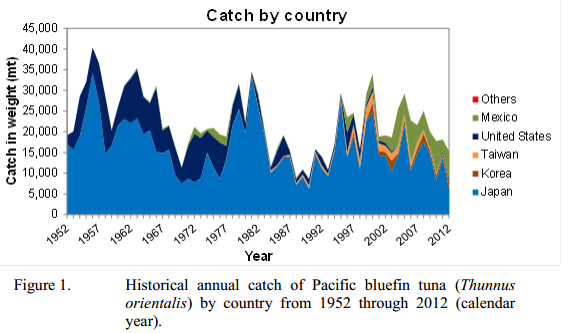 (2) All catches of Pacific bluefin tuna less than 30kg shall be reduced to 50% of the 2002-2004 annual average levels. Any overage of the catch limit shall be deducted from the catch limit for the following year. 3. CCMs shall endeavor to take measures not to increase catches of Pacific bluefin tuna over 30kg from the 2002-2004 annual average levels. 6. The CCMs shall cooperate to establish Catch Documentation Scheme (CDS) to be applied to Pacific bluefin tuna as a matter of priority.